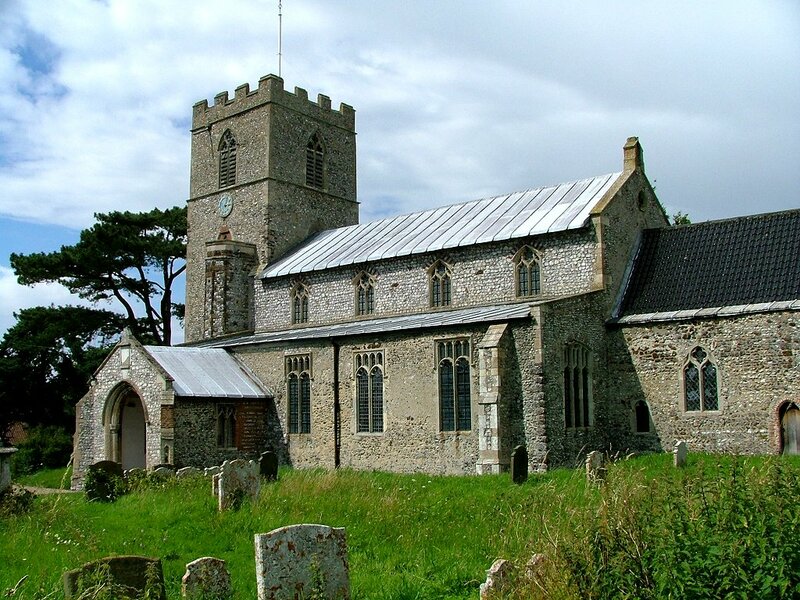 Saxthorpe ajoins its neighbour Corpusty in the valley of the Bure as it heads eastwards. 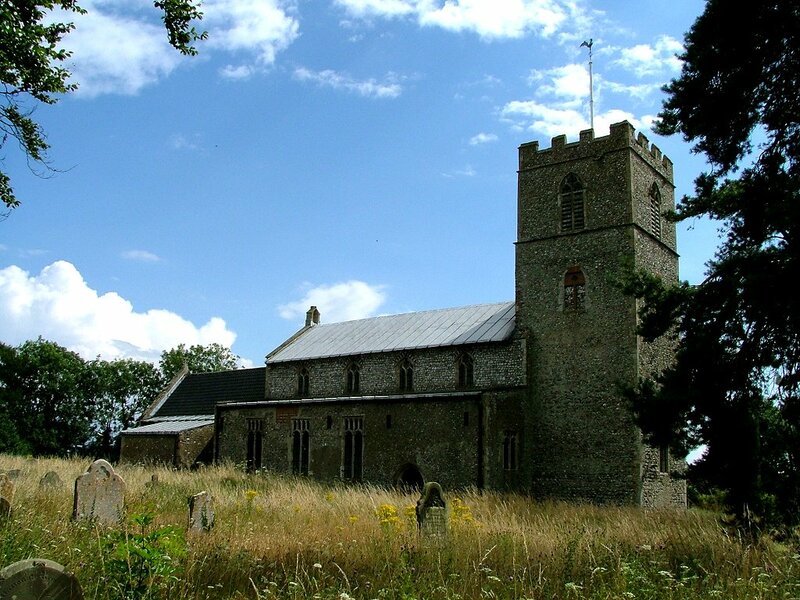 Saxthorpe is the bigger of the two, and they tumble delightfully down what is for Norfolk some fairly dramatic landscape. The two churches face each other across the valley; Corpusty is now redundant and near-derelict, but St Andrew is obviously much loved. 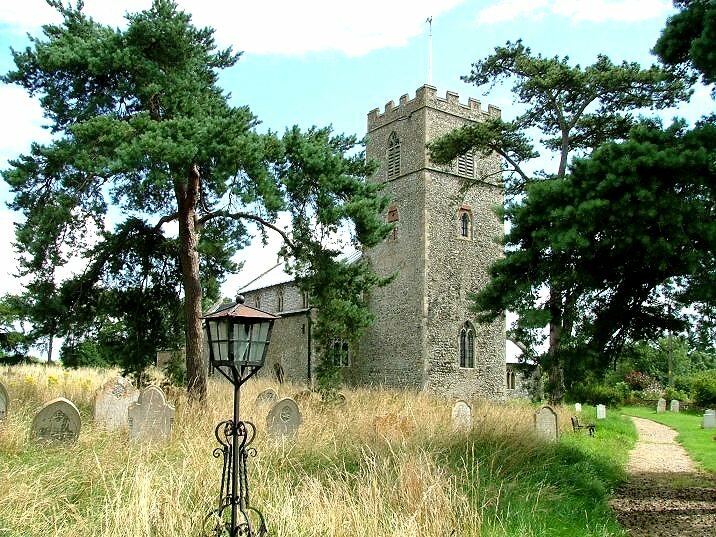 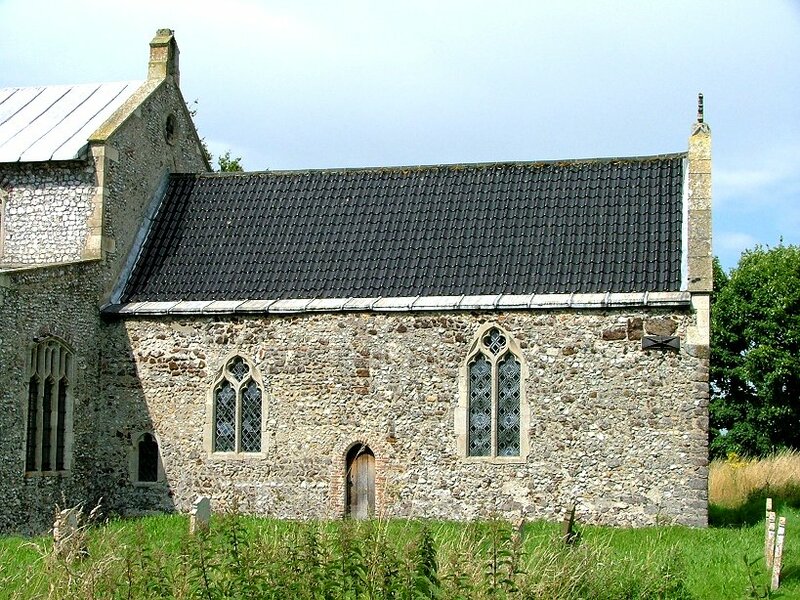 The graveyard is uncleared, with all manner of 18th and 19th century headstone scattered delightfully through the conservation area to the north of the church. 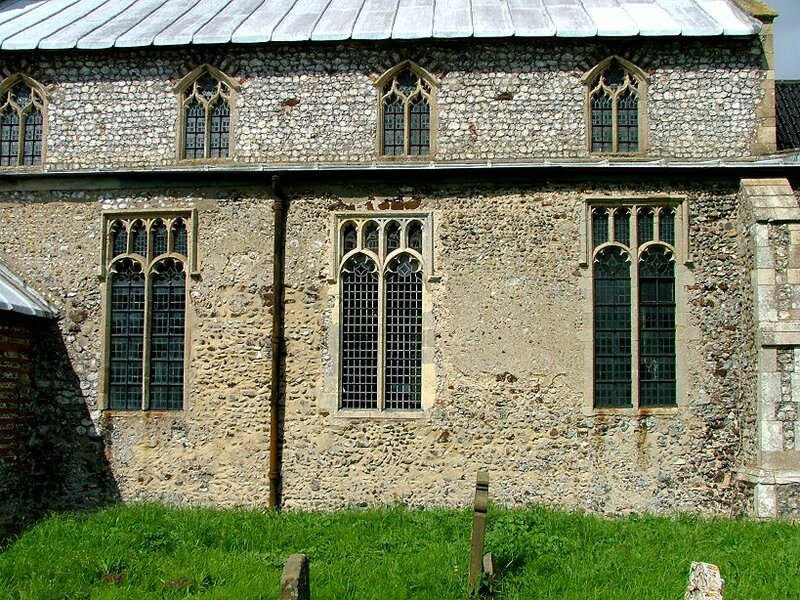 The south side is neater, a green velvet cushion for the clean-cut aisles with their many late Perpendicular windows - there was money here in the late 15th century. 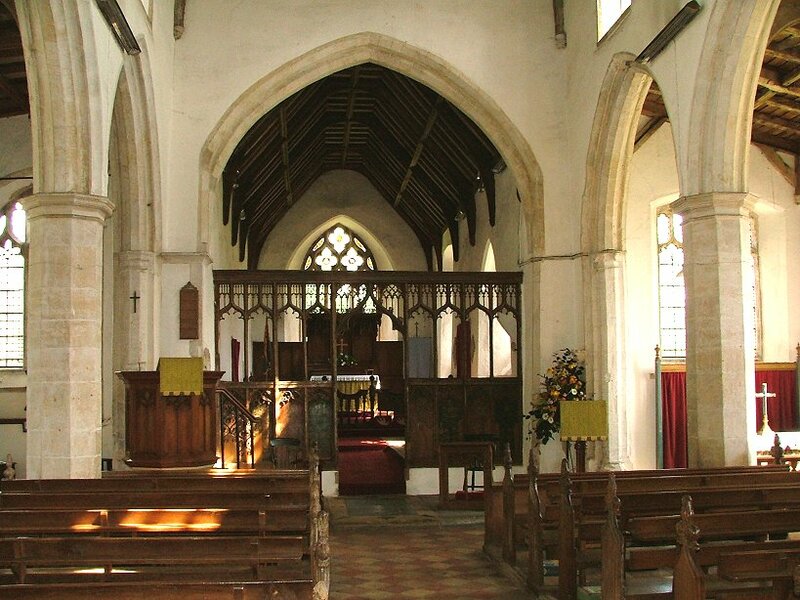 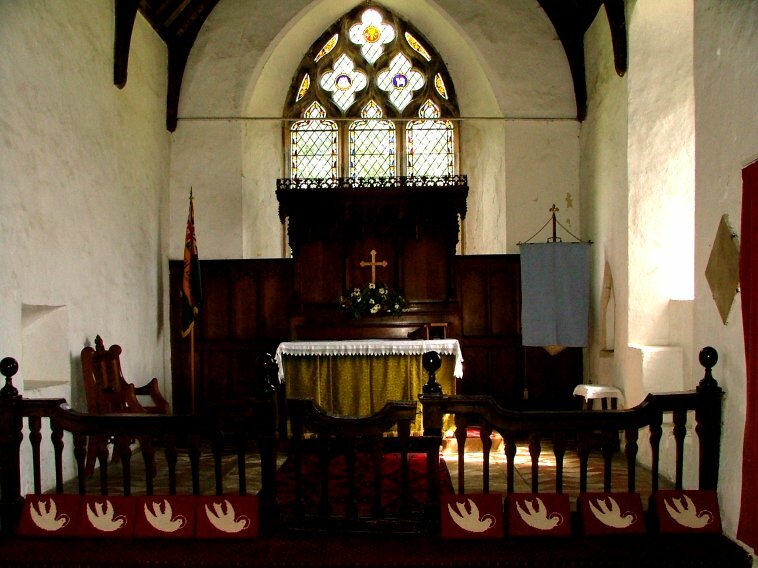 The chancel is earlier, and its Decorated windows seem more aloof. 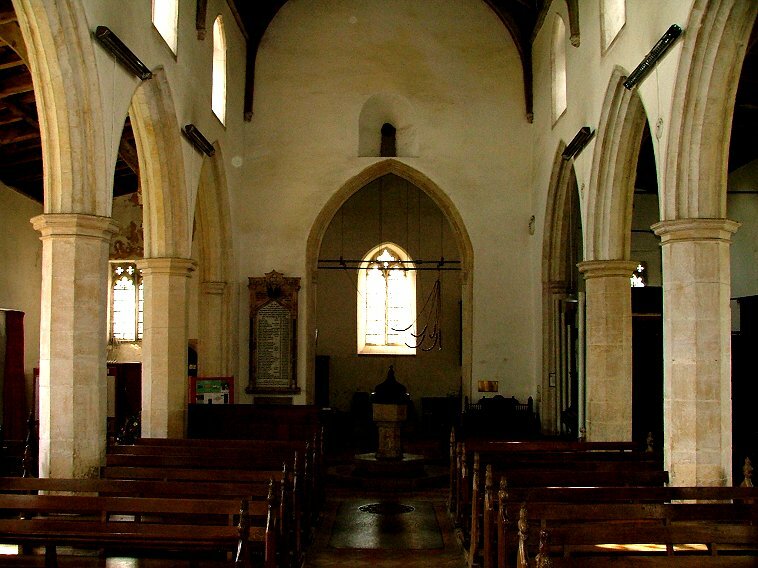 Inside, a major 19th century restoration has left the church rather gloomy and urban, but there is plenty of interest. 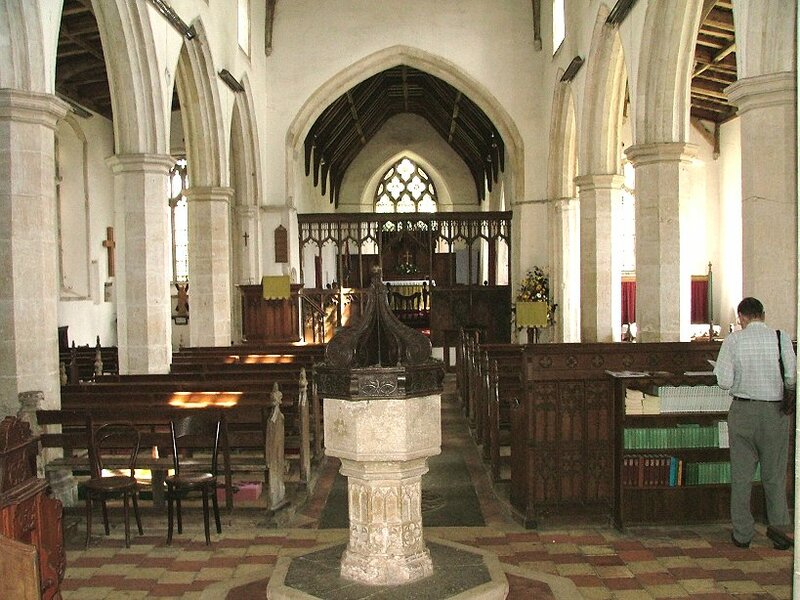 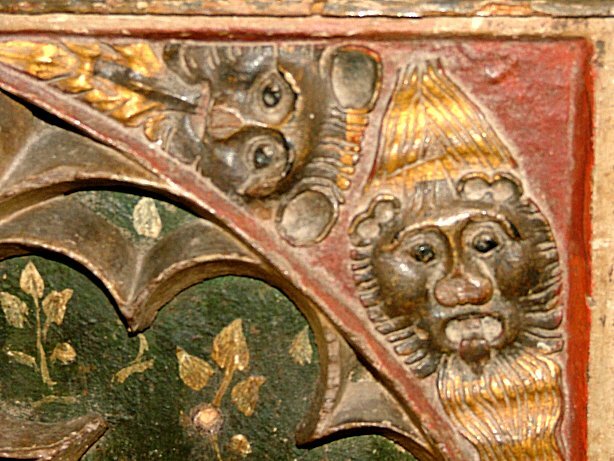 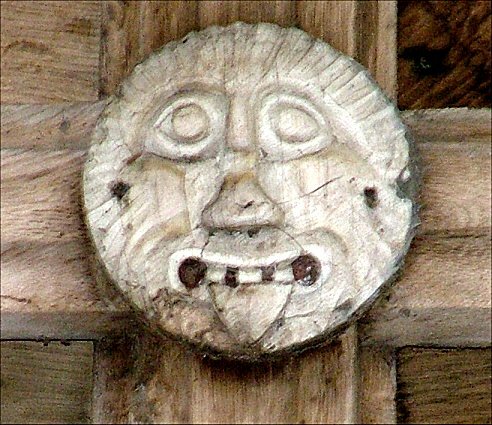 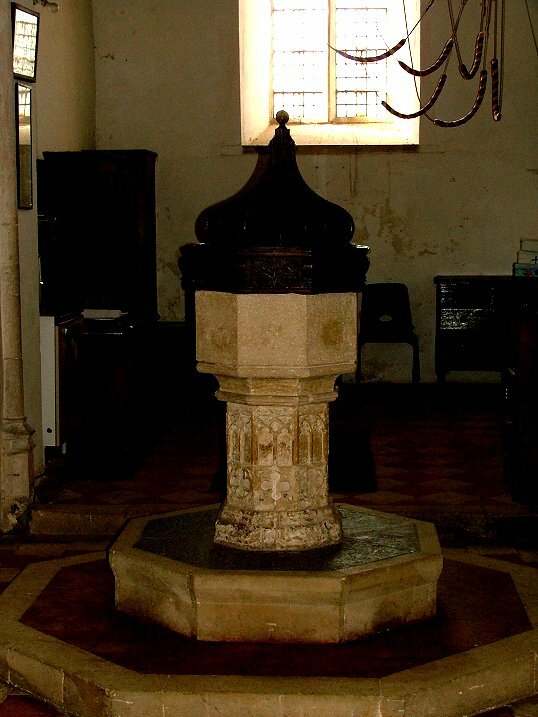 A lion boss grins down from the beams of the north aisle roof; The shaft of the font is probably contemporary with the chancel. 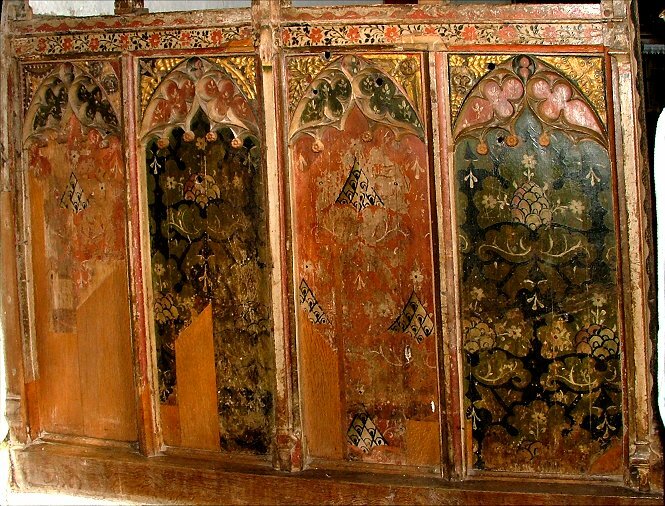 The 15th century screen has been hacked about a bit, but has some good paintwork and carvings in the spandrils. 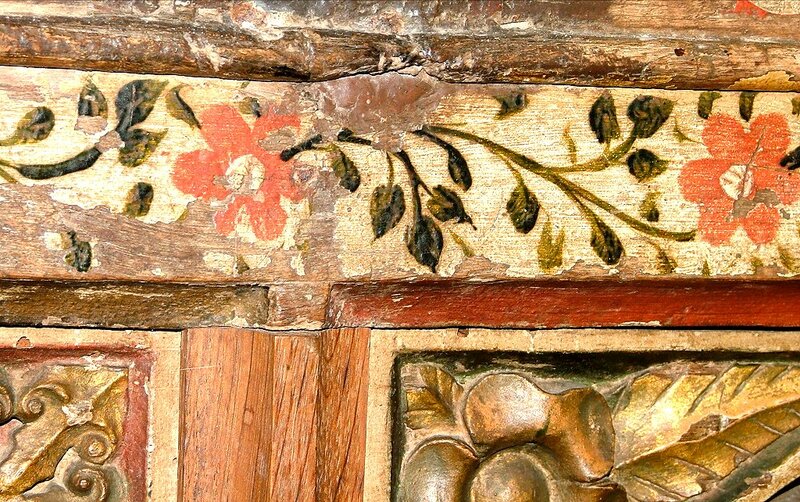 The flowers and foliage are particularly lovely. 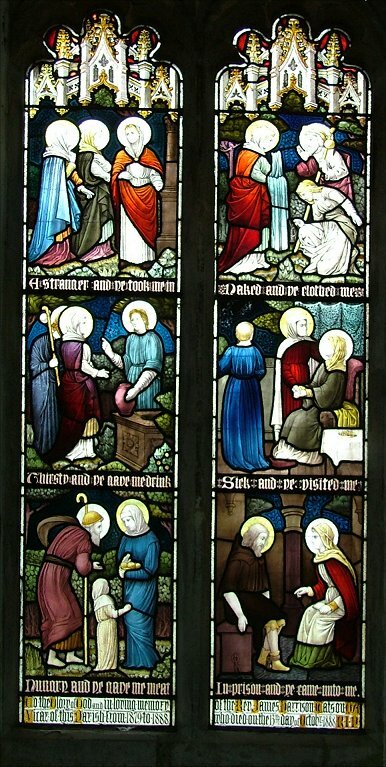 I liked the rather charming 1880s Works of Mercy window, which seems so restrained compared with other pieces of this time. 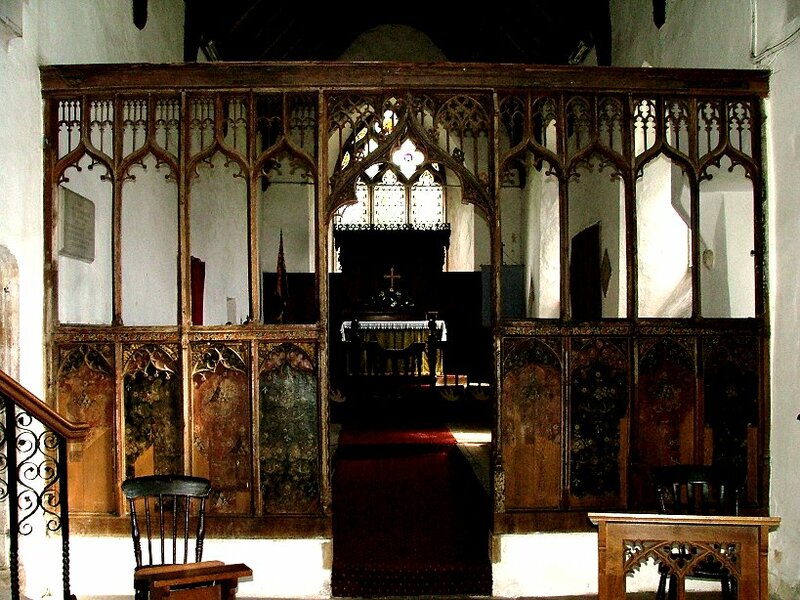 Perhaps the great curiosity here is the set of altar rails, with their interesting but clumsy pillars and balusters. 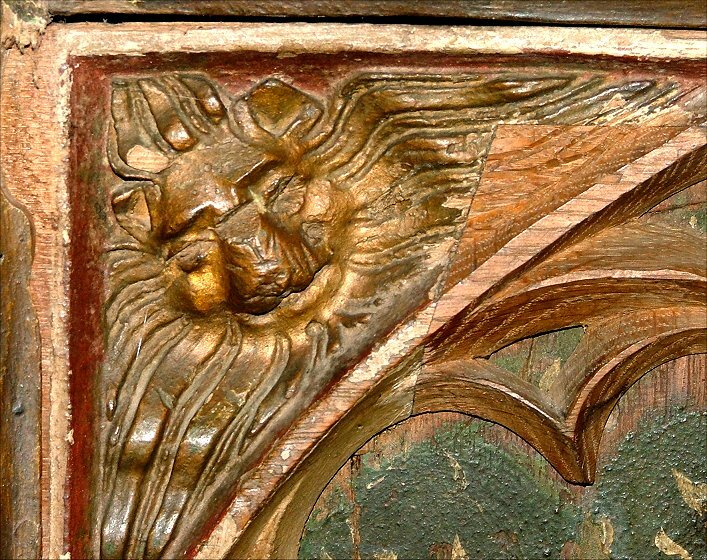 They date from the 17th century, and are at once charming and vulgar, almost certainly the work of a local; a reminder that the Renaissance in Norfolk did not produce work up to the standard of, say, Florence. 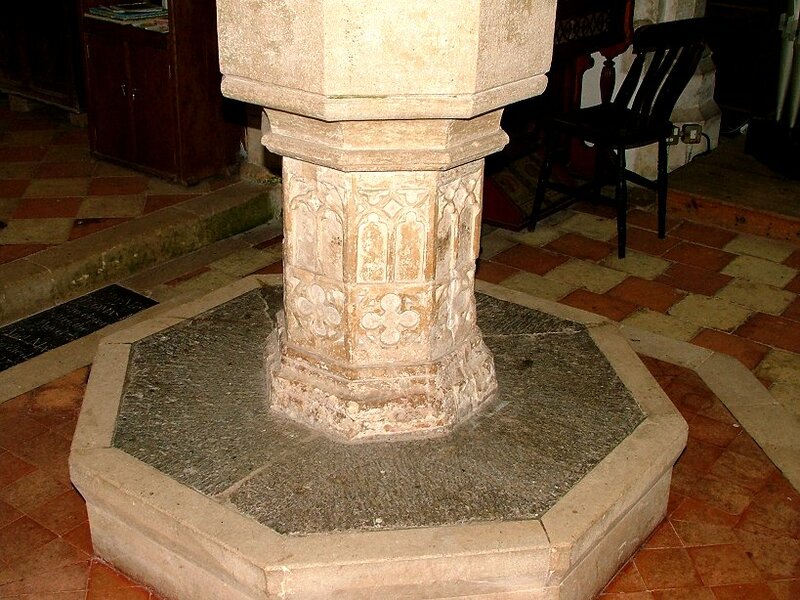 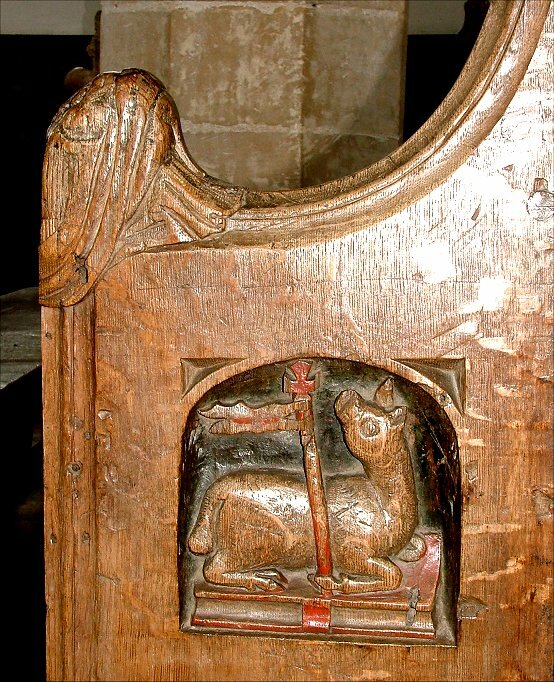 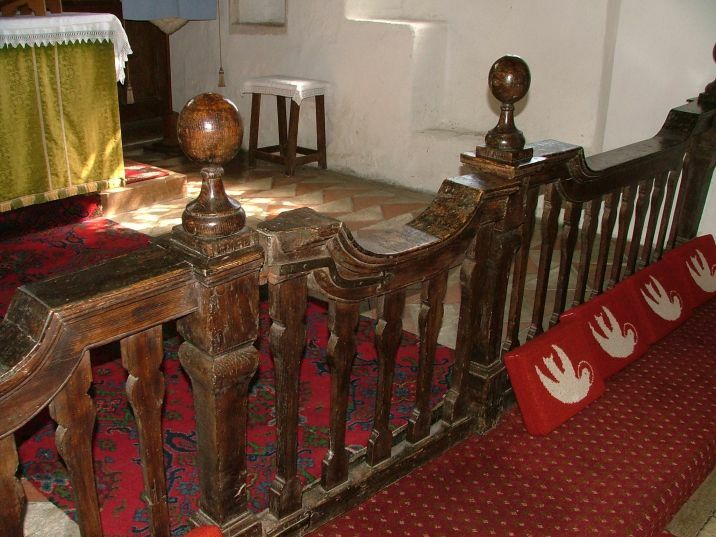 Among the other furnishings, there is an Agnus Dei carved into one of the bench ends; Mortlock records that this was the symbol of the locally important Page family, one of whom, Peter Page, was Priest here from the time of the 1480s rebuilding to the 1530s Refomation itself.